It is both telling and troubling when merely buying a dog from a breeder can be an “allegation” that requires a “proper response.” A dog lover should never be punished for valuing and choosing the traits a specific breed has to offer. Bred with love and purpose for predictable traits… the horror! Video provided by a Dutch company, Guard from Above, that has partnered with police to train these birds to disable drones. In an alarming story out of North Carolina, dozens of dead animals were found at The Haven animal shelter, a no-kill shelter which has been riddled with health violations and adopted out sick dogs. This is a facility that has had issues for years, including several months of complaints leading up to it being shut down. The tragic conditions these animals were kept in reinforces the need for faster investigation and enforcement (when necessary) in order to protect animals and the public at large, and to prevent situations like these from spiraling out of control. 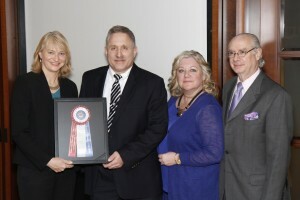 NAIA board member Dr. Arnold L. Goldman, DVM, MPH was recently presented with the 2015 Bebout Memorial Award for his groundbreaking work in advocating for the rights of responsible breeders and dog owners. In addition to being a proven leader in the veterinary field, Dr. Goldman developed legislation addressing retail pet sales and consumer protection that serves as a model for communities nationwide. All of this while owning and working in his own animal hospital. He is as active and engaged as anybody in the world of animal health and welfare — we are lucky he’s on our side! Please join us in congratulating him on this well deserved honor! The CDC released a report on a rabid Egyptian street dog imported into the United States by a rescue group. Only 3 of the 8 imported dog had certificates indicating proper rabies vaccination guidelines had been met. The CDC was not informed about these dogs until after they had already entered the United States and left the port of entry. Even if the CDC had been notified, the rabid dog most likely still would have been admitted, because its vaccination records were falsified (rescue workers admitted this after the dog’s rabies diagnosis). This is unacceptable to us, and it should be to you, too. NAIA remains committed to solving this issue, and we will focus our resources on it in 2016. This it is a problem that shouldn’t exist: if one is committed to rescuing dogs, why look halfway around the world, when there are local dogs in need? Congratulations to NAIA President and co-founder Patti Strand for receiving a 2016 AKC Lifetime Achievement Award in the category of conformation! 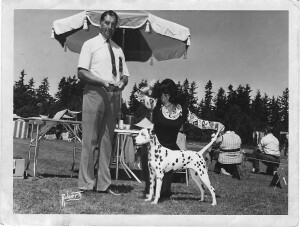 A lifelong dog lover with 46 years experience breeding Dalmatians — a line known for its good health and temperaments — the recognition is a great honor, and a testament to the huge, hands-on role animals play in the lives of the people who make up NAIA! 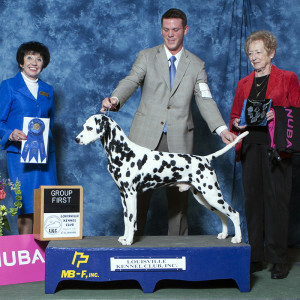 Merry-Go-Round Coachmaster, Multiple Best in Show Winner, and one of the sweetest dogs you will ever meet! Of the nearly 650 elephants analyzed, Schiffman’s team found that only about 5% died from cancer. That’s an incredible statistic, considering the cancer mortality rate in humans ranges from 11% to 25%. Instrumental to this research is elephant DNA, and Dr. Schiffman needed a diverse gene pool to effectively study to species. 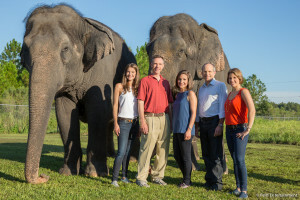 Because the CEC has the largest herd of Asian elephants in the Western Hemisphere, the Feld Family felt compelled to help support this research. The incredible bond the staff has with these majestic animals, and the hands-on care provided at the Center for Elephant Conservation, allows the experts at the CEC to easily provide the blood samples Dr. Schiffman needs to further his research. Dr. Dennis Schmitt, Ringling Bros. and Barnum & Bailey® Chair of Veterinary Services and Director of Research, and Dr. Wendy Kiso, Ringling Bros. Center for Elephant Conservation Research and Conservation Scientist, and other scientific collaborators on their team, have identified a key genetic link, called P53, that helps to protect both Asian and African elephants from developing cancer. The P53 gene’s job is to make sure that none of the cells in the body develop cancer. By studying the DNA in blood from elephants and the DNA in blood from patients with cancer, the team discovered that elephants have 40 copies of this P53 gene that attacks cancer while a healthy person has two copies. Very cool findings! As humans work to preserve these majestic animals, will they in turn provide us with important keys in the battle against cancer? That would be certainly be poetic. 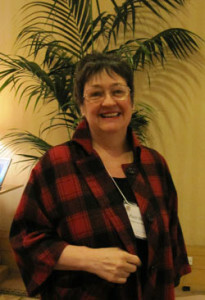 Oh — and by the way, Dr. Wendy Kiso will be presenting on the challenges and opportunities in saving the Asian Elephant at this year’s NAIA conference, in case you haven’t signed up already! Humane relocation: Humane relocation refers to the practice of transporting un-owned pets in need of adoption (primarily dogs and cats) from areas with a surplus of homeless pets to areas with a higher demand for pets and more shelter and rescue space. When done responsibly, it is a cooperative, common-sense method of finding homes for pets that might otherwise be euthanized. When done without care, it does nothing to solve the problem of pet overpopulation at its source, and in some cases even encourages it. Worse, it can turn participating rescues and shelters into unregulated pet stores that deal in animals of unknown backgrounds – animals that may have serious behavioral problems or may be infected with parasites and diseases not endemic to a particular region (e.g. whip worm, heart worm, or rabies). Dog sellers present the canines with heart-tugging tales of Southern kill shelters. They also describe residents of the South as uninterested in preventing unwanted puppies through regular spaying and neutering. 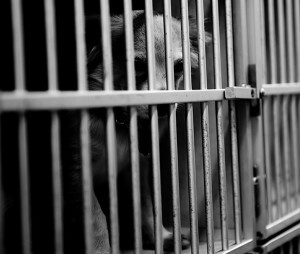 This is big money: at $300 per dog, a rescue operation that does not give the animals proper medical attention or humane transport conditions can make $420,000 a year for 1,400 dogs, said Raymond Connors, an animal control officer for the state. “It’s a multimillion-dollar industry,” he said. Industry indeed — and it’s not just dogs moving from the south to the northeast, as is most often reported, it is a multimillion-dollar national industry. 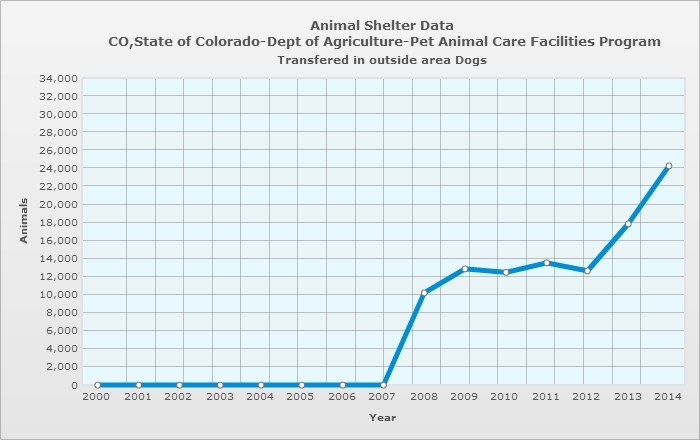 Using Colorado as an example, the number of dogs imported into Colorado shelters nearly doubled between 2012 and 2014, to more than 24,000 dogs per year! 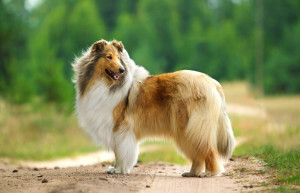 Given the unknown background, and behavioral issues of so many of these dogs and the way they are shipped, the issues of health, humane treatment, and consumer protection should be clear. 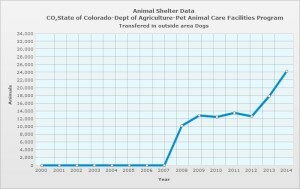 The potential for this practice to impact the image of ethical rescue and pet ownership in general (e.g. avoiding rescues out of fear of health or behavioral issues, or deciding not to have pets at all) should not be discounted either. As always, NAIA urges you to consider the source when picking your next pet: do your homework, support practices that create positive outcomes for pets and pet owners, and make an informed, ethical decision! This is pretty amazing! 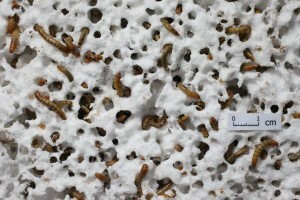 Researchers from Stanford raised mealworms on a diet of styrofoam. And the results? Each worm ate about a few dozen milligrams every day, converting about half to carbon dioxide and leaving half behind as non-toxic waste. Assuming there are no ill effects down the road for these worms or predators that eat them, the implication of this styrofoam diet are huge! According to the EPA, Americans toss out 25,000,000,000 styrofoam cups each year, which do not break down fast or easily — and that’s just cups! But if mealworms are willing and able to lend a helping mouth (or, more accurately, the helpful bacteria in their guts that breaks down plastic), this could be a powerful solution for the world’s plastic waste. Who says worms are slimy and gross? Yes, it’s a tale as old as time itself: retired farmer takes in homeless dogs, welds together wheel and barrel, ties together and fills with dogs, then pulls with tractor for a trip to the local creek. You know — the usual! So what are your plans when you retire?